Popular protests were rare in The Gambia, a popular tourist destination that welcomes tens of thousands of foreign visitors every year. The country of 1.8 million, which is surrounded on its three other sides by Senegal, saw Yahya Jammeh rise to power through a military coup in 1994. In 2015-16 there was much unrest including demonstrations against sand mining for metals. The sand mining in Kartung, Batukunku and Sanyang have been the subject of a great corruption scandal involving the former government under Yahya Jammeh´s presidency (deemed as a dictator as he stayed 22 years in power). Investigations show that the permit granted to Carnegie S.A. (in partnership with Astron Limited) was revoked in 2008 in order to benefit Gambian companies´ ventures in relationship or under direct ownership of Yahya Jammeh himself. The mining sites are considered illegal after the departure of Carnegie (see Project details). In the mid-1990s The Gambia decided to not allow sand mining in order to protect its coasts. Yet Carnegie S.A. explored The Gambian coasts and started commercially exploiting the three sand mineral deposits in June 2003, even though “Gambia government’s own geology department in collaboration with the National Environment Agency in a joint impact assessment survey of coastal sand mining identified the practice as one of the biggest threat to the country’s environment.” (1) By the end of 2015, the villagers of Kartung demonstrated asking for the closing down of the illegal mines surrounding their village and they were violently repressed. At least 45 people were arrested and sued, amongst them young people and women (2). By early 2016, Kartung mining site was closed by the National Environment Agency. Yet APAM, operating there, transferred its operation to another deposit, to Sambouya (also in the Kombo South district) (3). Gamico is also involved in the exploitation of Sanbouya mine. 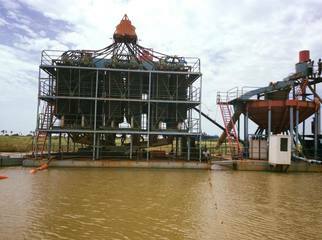 By February 2017, miners were still working on Sanyang site (4). The companies came and left one after the other without restoring the sites. They should have replaced the mined sand but instead they left the ditches open. All the involved companies have so violated the National Environmental Management Act which requires to the companies to restore damaged areas. Flooded, the ditches attract the mosquitoes all year-round. The presence of crocodiles has also increased, putting at risk the women cultivating their vegetables´ gardens (5). 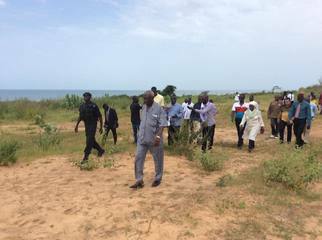 The Inquiry Commission (set up by the new government in order to investigate the financial issues of the former government of the President Yahya Jammeh) visited the devastated sites in October 2017. The communities took the opportunity to share with the commission members their concerns for the environment which has not been rehabilitated. The mining operations have triggered the soil erosion, worsen by the sea-level rise and overall, the agricultural activities have been undermined. Project Details Initially the commercial exploitation started in June 2003, by Carnegie in joint equal venture with Astron Limited. The mining license concerned the mineral sands deposits (ilmenite, rutile and zircon) located near the towns of Batukunku, Kartung and Sanyang. The heavy metals were exported to China. The zircon concentrate was processed on Hainan Island (China) by Astron Advanced Materials Ltd. (AAM) (a subsidiary of Astron Limited). 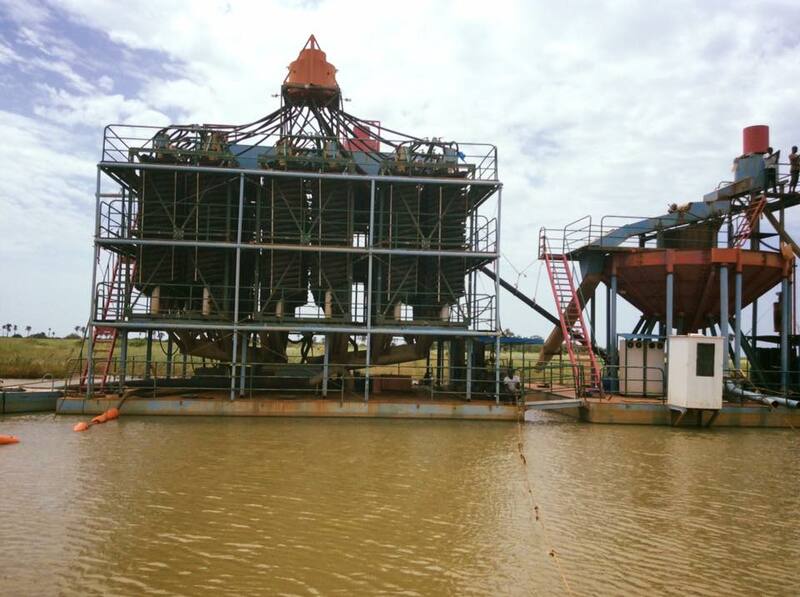 Only the sand, as a byproduct of the operation was sold in The Gambia. By the early 2008, the government of the previous President Yahya Jammeh had given a 24 hours ultimatum to Carnegie to communicate on its activities: what they are mining, the quantities, and the actual international price of tonnage exported (1). The Carnegie´s representatives claimed the company´s adherence to the country´s legal processes. Yet the government revoked the mining license in February 2008 by alleging that the multinational was commercially exploiting minerals outside of the mining license (2). Carnegie S.A. brought the case before international justice, at the International Centre for Settlement of Investment Disputes (ICSID). The international jurisdiction ruled in favor of the mining multinational, fixing the damages for breach of the mining license to US$18,658,358 (adding also interests, arbitration costs and legal costs). ICSID requested to The Gambia a total of US$24 million to pay to Astron Corporation Limited. By the time ICSID had ruled in favor of Carnegie, Carnegie had been incorporated as a wholly owned subsidiary of Astron, between 2015 and early 2016. By mid-November 2015 the Gambian government was looking for annulling the decision. Only after the departure of the President Yahya Jammeh numerous scandals of corruption blown up. The conditions of Carnegie´s revoked mining license are being elucidated. An inquiry commission was set up by the new government in order to investigate the financial uncertainties of the former government. According to officials from the Geology Department, testifying at the inquiry commission, the former government was willing to mine where Carnegie was mining. According to Mr. Jawo´s testimony, Gamico and Alhamdulillah Petroleum Mineral Company (APAM) submitted their license applications when the Geology Department received letters and orders from the Presidential Office to stop Carnegie from operating. Gamico started exploiting the sites before the departure of Carnegie S.A. and before being granted a permit. It has been documented that Gamico used Carnegie´s left behind equipment. Their license was issued by the former President in August 2015. Both Gamico and APAM were allowed to commercially exploit the mining sites through presidential orders. APAM did never registered its business. Gamico was closely linked to the presidential circles and APAM was owned by the very same President himself! (3) Thus all the mining operations after the departure of Carnegie were illegal since both companies had no official exploitation license. The two companies were exporting the heavy metals to China. Carnegie Minerals Plc. 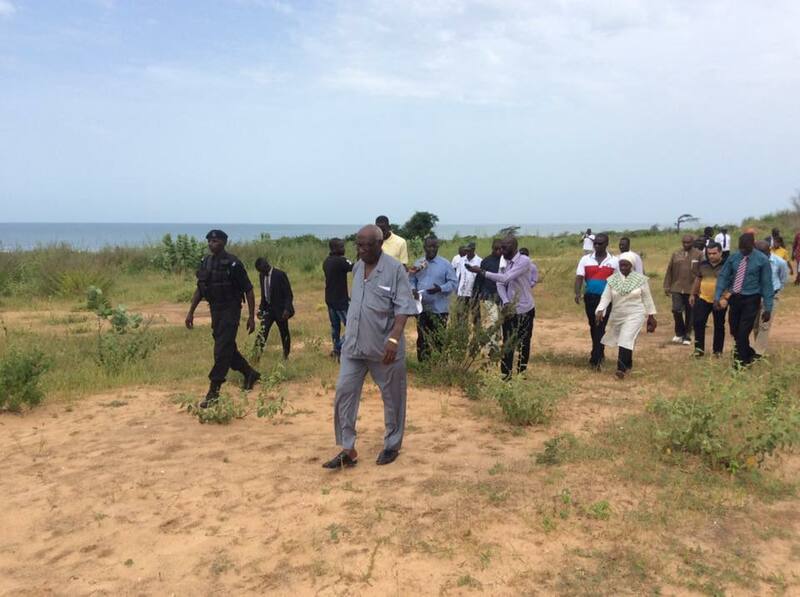 from United Kingdom - Owner of Carnegie Minerals (Gambia) Ltd.
Other Invasion of the villages by snakes and mosquitoes. Other Eleven year old boy fell down in one of the ditches and died. Development of Alternatives Support tourism, preserve the coast from further erosion by not allowing sand mining in the fragile coast. Why? Explain briefly. Need to restore the environment, covering up the ditches, need to prevent further soil erosion, support agriculture, uninstall the heavy machines left behind by the gone companies. The two companies related to the corruption scandals left the sites previously exploited by Carnegie but actually continue their operations and damages in other areas (Sanbouya).